Have you ever watched Indiana Jones and wished you could be a part of the action? If so, then gather your friends and visit 5 Wits Albany in Crossgates Mall! More immersive than an escape room, 5 Wits lets players solve puzzles, explore realistic settings, and become action heroes in their own adventure. Immersive experiences have become very popular in recent years, such as VR gaming and escape rooms. Entertainment destination 5 Wits stands out for its hands-on adventures, featuring powerful storytelling, detailed locations, and computer-controlled special effects. For each 5 Wits adventure, players team up to solve a series of fun challenges and puzzles in order to progress through a story. How players respond to each scenario actually affects the adventure, making you feel in control of the action. 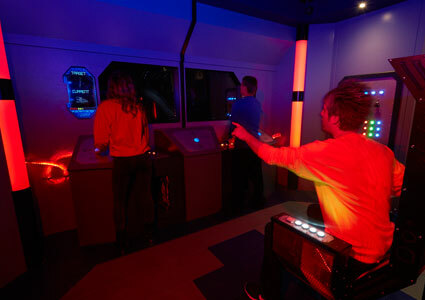 There are three thrilling adventures to choose from at 5 Wits Albany: Tomb, Drago’s Castle, and Deep Space! 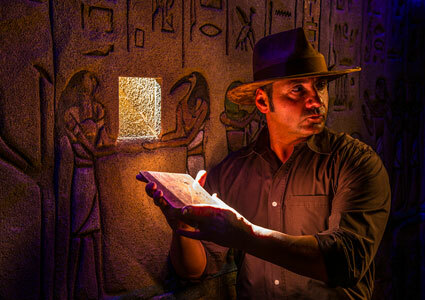 In 5 Wits’ Tomb adventure, players find themselves on an archaeological dig of a 3,000-year-old Egyptian tomb. However, things go awry when an ancient Pharaoh is awakened! To avoid being trapped in the burial chamber, players must face the Pharaoh’s challenges and solve increasingly difficult puzzles. Think you can defeat the Pharaoh at his own game? Get ready to explore a medieval fantasy castle in 5 Wits’ Drago’s Castle adventure! The fire-breathing dragon Drago has escaped from his storybook, and it’s up to the players to capture him. The adventure begins in the dungeon, and then players team up with a princess to traverse the castle. Some of the locations include the throne room, the bell tower, and more, but players must overcome ancient riddles and puzzles to succeed. 5 Wits’ Deep Space adventure is out of this world! Players are teleported aboard an abandoned spaceship and find themselves working to not just save themselves, but the world. To make it through this adventure, players will need to defend the spaceship from incoming asteroids, fix various systems, and defeat an evil artificial intelligence program. Are you up to the challenge? The amount of time to complete an adventure is about 30 minutes, but it depends on how well the players perform. All of the adventures are designed for ages 7+, and 5 Wits is perfect for corporate and birthday parties, as well as other private events. 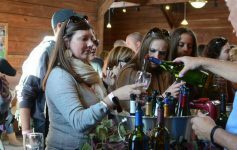 Here in the Capital Region, 5 Wits Albany is a truly unique part of the local entertainment scene. Take part in 5 Wits Albany’s Grand Opening celebration on December 27th and enjoy giveaways, door-prizes, and even appearances from local radio stations. 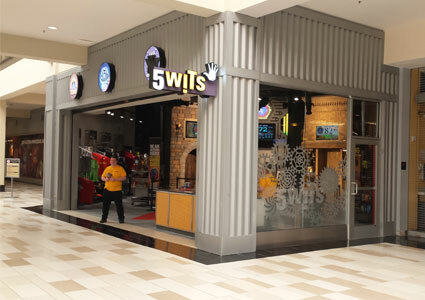 5 Wits Albany is located on the Lower Level of Crossgates Mall near Macy’s. 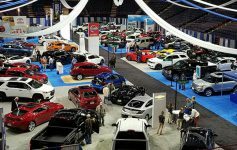 It is currently open Monday-Saturday, 10:00am-9:30pm, and Sunday, 11:00am-6:00pm. Ticket prices are $19.99/person per adventure, $25.99/person for two adventures, and $29.99/person for all three adventures. 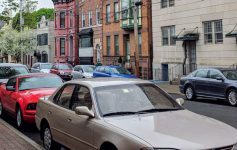 Plan a trip now and become an action hero at 5 Wits Albany!